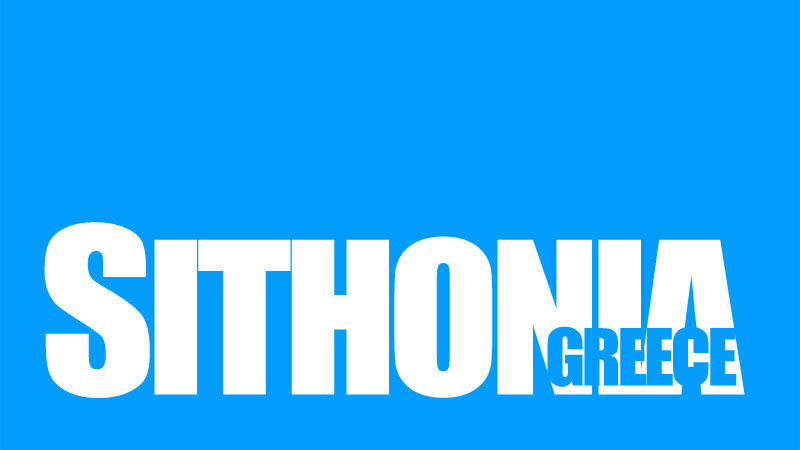 Let us give you a brief description about the features on SithoniaGreece.com and how you can use them to your benefit. The design of SithoniaGreece.com has been simplified and larger photos have been added so the website is more visual, after all this is what a travel guide should be about. You can navigate your way around the site in several different ways as we will explain. As a brief overview, everything can be fround through the main menu on top of every page. Directs you to all accommodation possibilities on SithoniaGreece.com. You can also narrow your search to just hotels, apartments, villas or campsites. Looking for accommodation in a special area? 2. Then click STAY or Hotels, Apartments etc. 3. Your location is remembered and further searches for other things will be limited to the selected location. Just choose another location to repeat your search in a new area or “all Sithonia” for a wider search. 4. You can also limit your accommodation search if you are searching for perhaps apartments that allow pets, have a swimming pool, beachfront… etc. A guide to selected restaurants and beach bars in Sithonia. Looking for restaurants in a special area? Follow the same procedure as explained above. 1. All sightseeing in Sithonia and Halkidiki along with self guided tours or paid tours. 2. All activities in Sithonia are listed such as boat rentals and diving. Cycling and hiking shows actual routes that you can follow. 3. 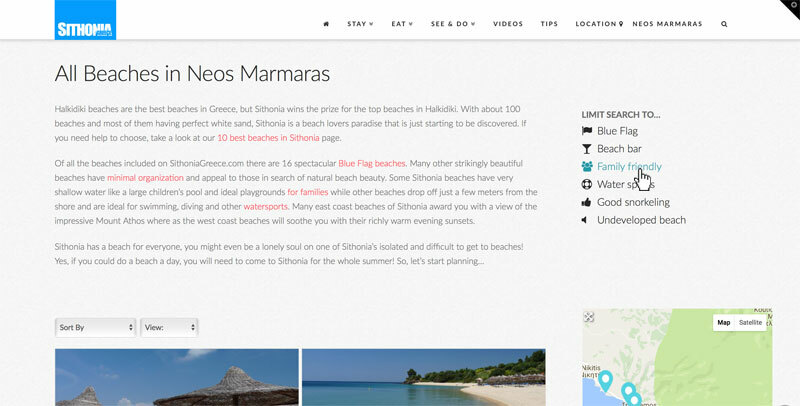 The complete list of all beaches in Sithonia including the “Top 10 beaches” list. All beaches and activites can also be searched by location as explained above. You can also narrow your search for your ideal beach according to if it’s Blue Flag, has a Beach bar, is Family friendly, has Good snorkeling etc. 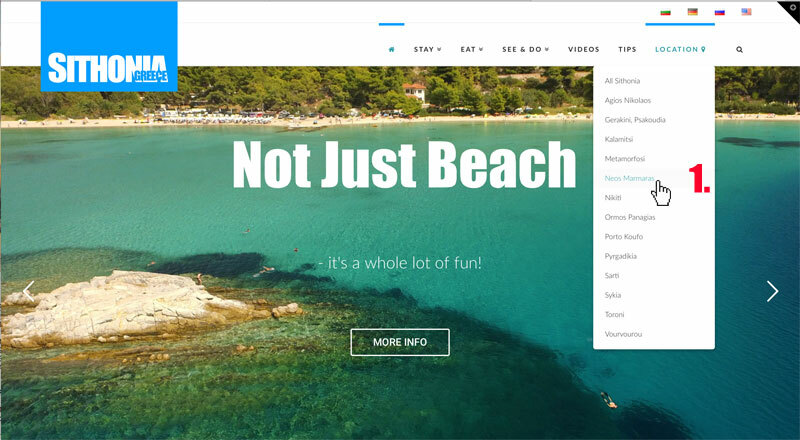 The video gallery includes all videos about beaches and places in Sithonia along with accommodation videos. General information and news about Sithonia such as events and festivals. The new SithoniaGreece.com is so much more user friendly. Everything can be reached from the front page through the menu or by scrolling down. If you click LOCATION on the main menu you can choose to narrow the information to only that location. 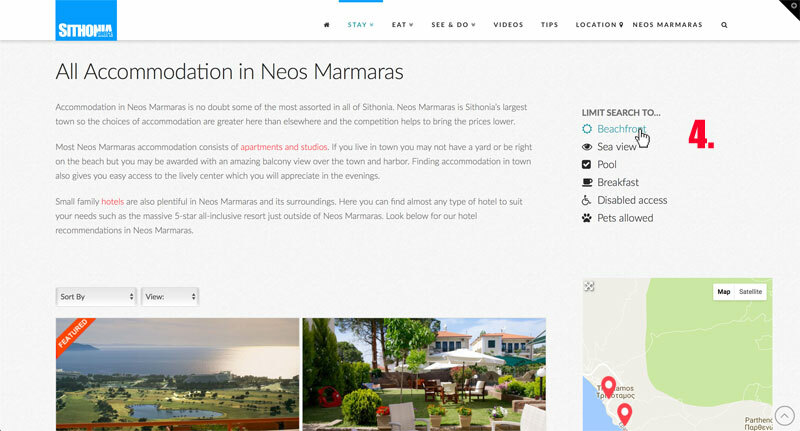 For example: under LOCATION choose Neos Marmaras and you will see a page with travel information, guides, videos, accommodation, beaches and sightseeing possibilities only related to Neos Marmaras. On the bottom of the page is an interactive map. Change your location easily the same way. Clicking Home or the SithoniaGreece-logo resets all location settings.